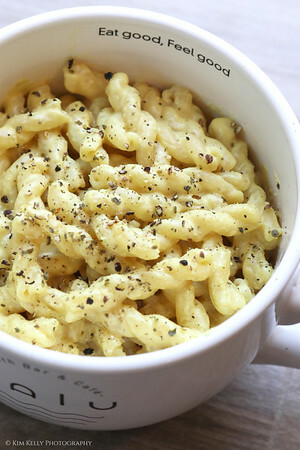 Quick to go together with just a few real food ingredients. 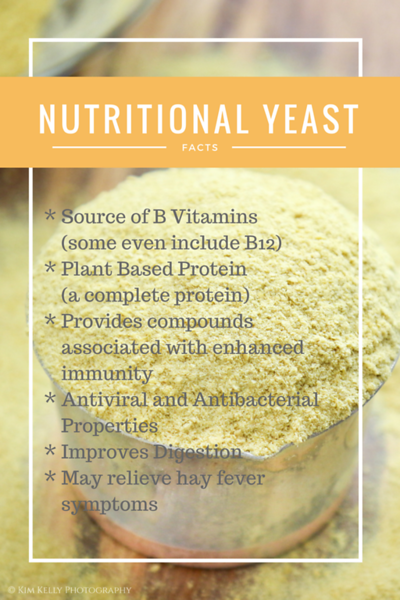 Nutritional yeast is an excellent source of plant based Vitamin B-12 and is also said to enhance immunity and perhaps even help hay fever. I don't usually measure when I make the sauce, so know that these measurements can be "about" the amount listed and it won't make much difference. Adjust the "nooch" to your taste. Instagram post tempting my son to come home! Water as necessary if too thick. While past is cooking prepare sauce. Place ingredients (all except for the pasta) in a high powered blender and blend on the "sauce" setting until smooth (I use the Blendtec Twister Jar). Add a Tbs or two of water as necessary if the sauce is too thick. Drain the pasta - save a Tablespoon or two of the pasta water. 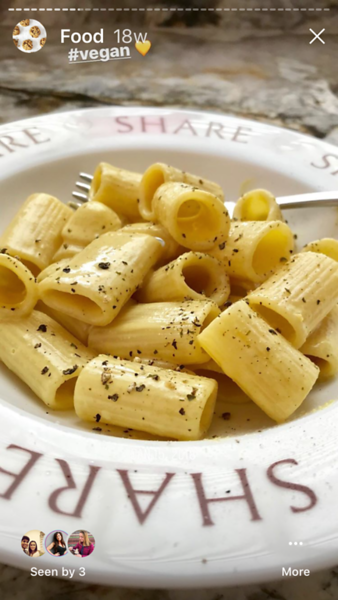 Pour pasta back into pot and immediately add a few Tablespoons of the Cheezy Sauce over the pasta while it is still hot. Stir to coat the pasta. Add a Tbs or two of the pasta water if it is too thick or your prefer a thinner sauce. Serve alone or with roasted veggies. Top with salt and pepper to taste. Enjoy! Save extra sauce in a covered container in the fridge for up to a week.